For Mary Jane Mitchell, it was like Jesus Himself providing miracles of abundance. 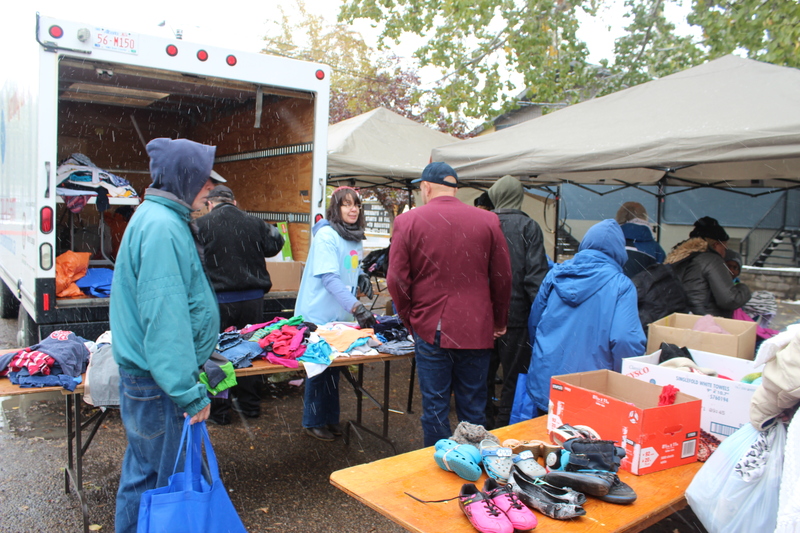 Hundreds braved the snow and cold for the third annual Uplift Day of Mercy on Sept. 22 at St. Alphonsus Parish and the Eastwood community hall in inner-city Edmonton. 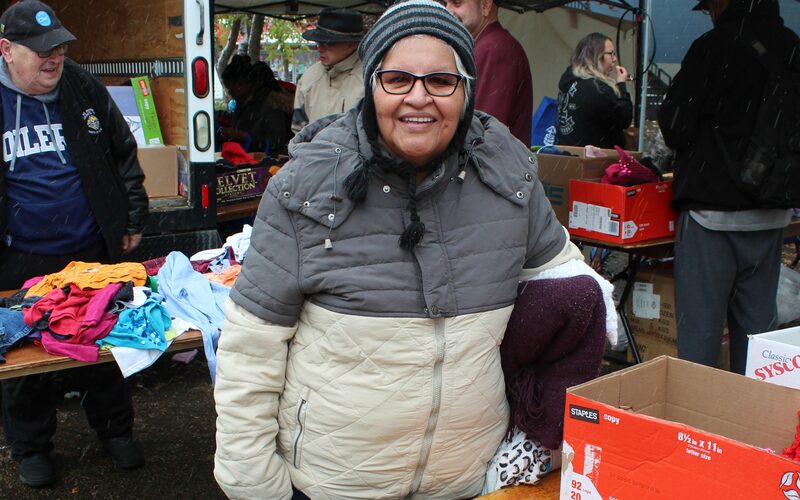 The Catholic Social Services-sponsored event offers free haircuts, socks, coats, family portraits, and bike repairs along with a hot meal to those facing hard times. People were lining up outside more than an hour before the Uplift Day of Mercy began. By 11 a.m., more than 300 had arrived and more than 100 volunteers were ready to help. 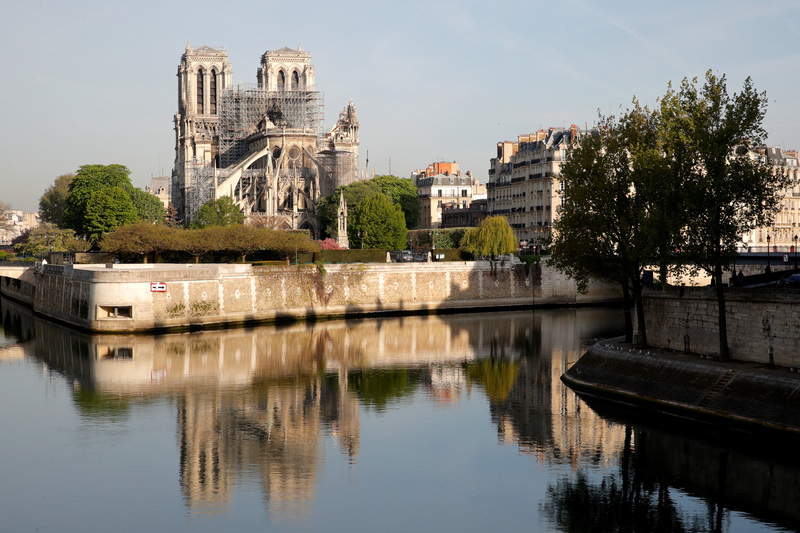 One woman found her way into the church at 8:30 a.m. Inside the church, those in need were served a free meal of ravioli with chicken and mushroom sauce, vegetables, cookies, bananas and juice. They also had a chance to browse and choose which services they wanted. CSS reports that attendance was down this year. Only 550 were registered to receive items and services, compared with 850 last year. Some may have been turned away by the bad weather – and others may not have registered at all, said Laura Ruddock, a spokesperson for CSS. Nevertheless, the need is great. The city estimates there are 1,500 to 2,000 homeless people in Edmonton, and others may be among the working poor. 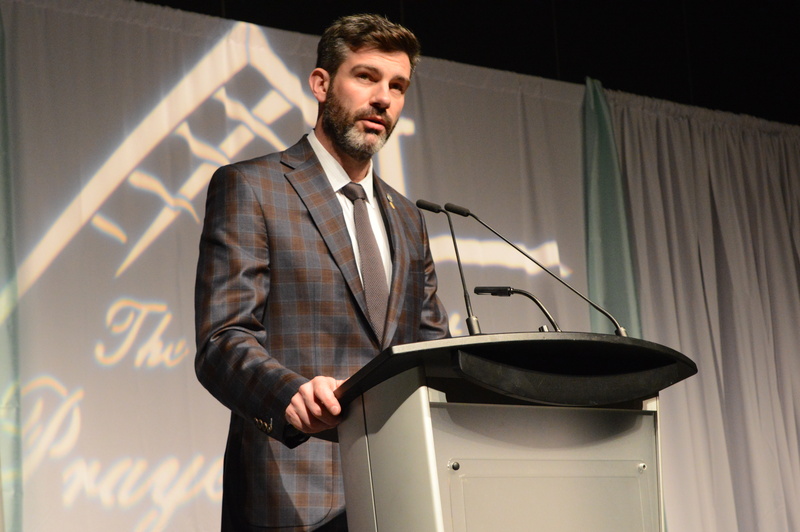 Over 48,000 renter households spent more than 30 per cent of their income on housing costs in 2016, and a growing number are paying 75 to 100 per cent of their income on housing. The event was also an opportunity for people who are struggling with mental illness to make connections and access resources, such as CSS Mercy Counselling services, which were on site. The pastor of St. Alphonsus Parish said some members of his community are struggling. Without it, Loretta, a single mother, and her 14-year-old daughter would struggle to have jackets, clothes and underwear. Volunteers say it’s a chance to help in any way they can – and they benefit as well. 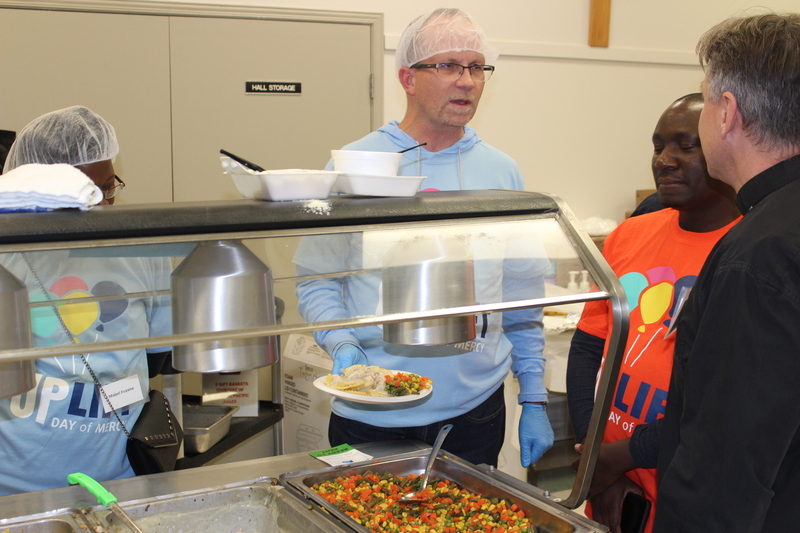 Troy Davies, chief executive officer of Catholic Social Services, serves meals at the Uplift Day of Mercy. 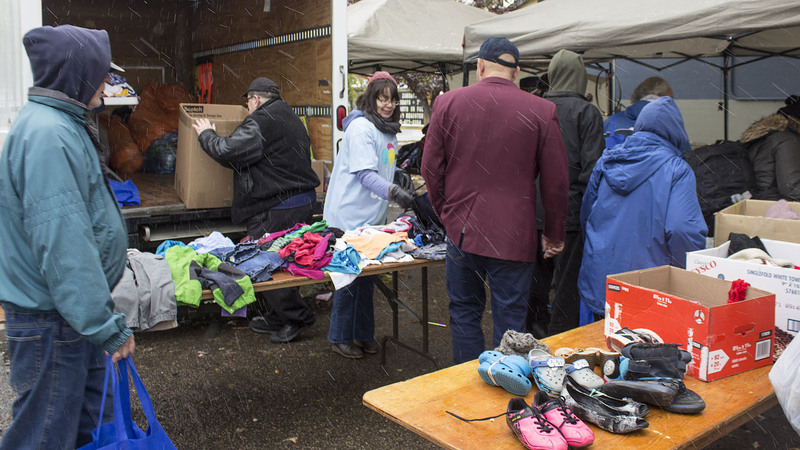 And Catholic Social Services could not run the Uplift Day of Mercy each year without its volunteers and partners, says Troy Davies, the agency’s chief executive officer. Having lived in Edmonton as a ‘single mom’, I know how difficult it is to try to ‘make ends meet’; most especially, how much life gets ‘harsher’ during the winters! It continually boggles my mind to know that there are an increasing number of people — including children — who have NOWHERE ‘WARM’ to lay their heads at night; in a place where the temperature can drop BELOW “minus 40 degrees Celsius”!! I SINCERELY BELIEVE THAT ‘The Roman Catholic Church’ needs to step-up its ‘game’: and ‘allow’ The Homeless to come in, and SLEEP IN THE PEWS — out of the cold — and sleep in the ‘warmth’ and THE PRESENCE OF THE BLESSED SACRAMENT!